The Tata Safari Storme, an SUV that took quite some time to be launched, is finally in the market as an upgrade to the existing Safari and promises to be a lot better. However, there are a few new kids on the block who threaten to upset its demand. One of them is the Renault Duster, a compact SUV, that has been setting the sales charts ablaze in the past couple of months. 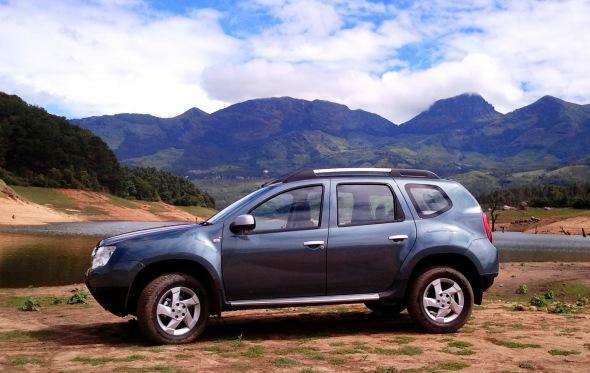 Last month, sales of the Renault Duster overtook the former budget SUV sales leader, the Mahindra Scorpio. Does it have what it takes to knock the wind out of the Safari Storme as well? Here’s a quick comparison. It’s a rather unfair comparison. The Safari Storme towers over the Renault Duster, and is in a different size zone altogether. But let’s leave size out for a moment and look at how looks appeal. The Duster has the right mix of aggression, bold chrome grille, twin barrel headlamps, high ground clearance, and muscular fenders and is quite well built. When seen in isolation the Duster looks good. But when you place it next to the Storme, the new Tata SUVs bold chrome treatment, projector headlamps and Range-Rover inspired front looks more menacing. The Safari Storme’s profile is all too familiar. And the rear has been toned down, but still looks nice and tidy. Overall, the Safari Storme has an edge in fit and finish, especially on the interiors. However, in terms of looks, it depends on what works for you, menacing looks or compact proportionate dimensions. It’s a close call. When it comes to space, there’s no comparison. 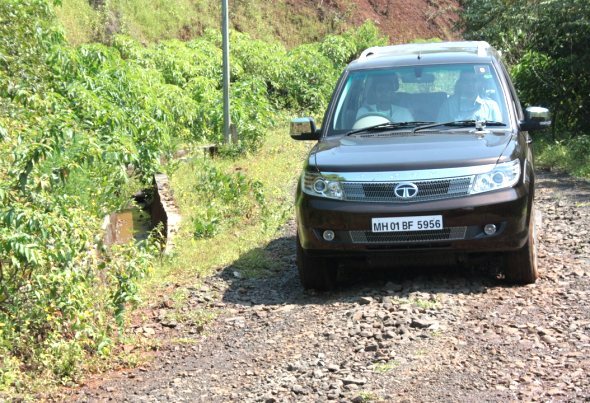 The Tata Safari Storme is the king of space in the budget SUV segment. It’s a seven seater compared to the five-seater Duster, and packs in much more headroom, legroom and shoulder-room. It’s definitely a lot more comfortable. Overall, the Safari Storme is better in terms of comfort and features, variant for variant. The Tata Safari Storme is powered by a 2.2 litre “VarioCor” common-rail diesel engine that puts out 140 bhp of power at 4000 rpm and 320 Nm of torque at 1700 rpm. It is mated to a five-speed manual transmission. The Storme is quite refined and NVH levels are well contained. The Safari has improved in ride and handling as well, with lesser body roll thanks to the Aria’s chassis being used. However, it is a heavy vehicle at 1970 Kg and loses out in the power-to-weight stakes. The Safari is primarily a rear-wheel drive vehicle and also has a 4×4 variant. The Renault Duster comes in two engine variants, both 1.5 litre diesel, but putting out 84 bhp of power in one variant and 108 bhp of power in the other variant. Torque is 200 Nm in the 85PS variant and 248 Nm in the 110PS variant. The 110PS variant gets a six-speed manual transmission, while the 85PS variant gets a five-speed manual transmission. With a lighter kerb weight of just 1240 Kg, the Duster is more nimble and agile. All Dusters in India are front-wheel drive only (the 4×4 variant is not available here). Overall, in terms of ride and handling, the Renault Duster has an edge over the Tata Safari Storme. The Renault Duster is priced between Rs. 7.5 lakh and Rs. 11.6 lakh ex-showroom Delhi for a total of eight variants – six diesel and two petrol. The Tata Safari Storme is more expensive with prices starting at Rs. 9.95 lakh for the base diesel LX, going up to Rs. 13.6 lakh for the top-end VX 4×4 variant. The top-end Renault Duster at 11.6 lakh is comparable to the mid-variant Safari EX. It features leather upholstery at that price. As for mileage, the Renault Duster is much better at a claimed 19 kmpl for the diesel 85PS variant. The Safari Storme has a claimed mileage of 13.2 kmpl.